Free your spirit and get into that turquoise state of mind. This vibrant gem, adored by generations of jewelry lovers, has been reinvented time and time again. 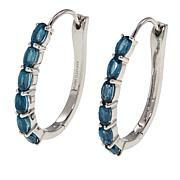 In these earrings, it radiates a style-savvy aesthetic while keeping a classic attitude. 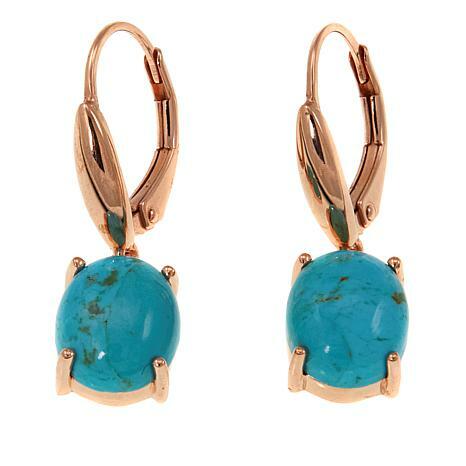 Now it's your turn to discover what makes turquoise so tantalizing. Love love love these earrings!! The craftsmanship is exquisite in the care taken with the secure clasp closure. 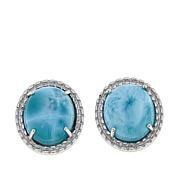 And the color of the turquoise is gorgeous - a lovely blue green. 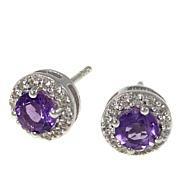 I love teardrop and single stone earrings because it requires skill and expertise to craft a gem in that style. Well done..... Paul, Please do more? 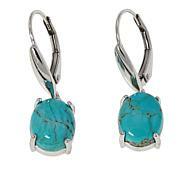 Chaco Canyon Pear Kingman Turquoise Rope Frame Drop Earrings Luscious looks are best served in large portions. Between the elongated, pear-shaped cabochons of Kingman turquoise and dynamic rope-detail sterling silver framework, these earrings are ready to satiate your appetite for Southwest glamour.